When you wake up in the morning in the height of summer, and you need a hit of caffeine, the last thing you want is a hot drink. Cold coffee comes to the rescue. Not only do you get the energy boost that you need in the morning, but you also get an incredibly refreshing cold drink to wake you up and start your day off right. While it’s possible to make a cold brew coffee with regular coffee, it’s not specifically designed for this. Whenever possible, you want to use ingredients how they were designed, especially if you want the best results possible. 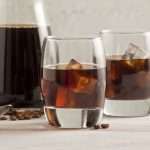 Therefore, it’s important to find a specialized cold brew coffee which has been developed to give you the perfect flavor even without the addition of heat. Doing this can be challenging because boiling coffee can reduce some of the acidity and help to make even bad coffee taste great, with a cold brew the true flavor of the beans comes through. Read on to learn about the best coffee for cold brew. Oolong tea is ideal for budding tea drinkers because it’s mellower than black tea but not as bright as green tea. It has a subtle fruity flavor and pleasant aroma, but it’s not overpowering. 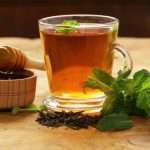 It’s also a great beverage for tea aficionados because it tastes great and has a number of health benefits. 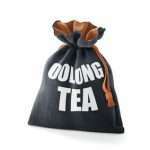 Oolong tea also contains antioxidants, essential vitamins and minerals and some caffeine. However, it tends to have less caffeine than a cup of coffee. What is tea? You might already know that it’s the second most popular drink in the world (right behind water). You might also know that tea comes in a seemingly limitless number of varieties. Each is subtly influenced by the leaves from which its brewed. You’ve got green teas, well-known for their cool (but bitter) tastes. Traditional teas, like Earl Grey, widely hailed for their bold, smooth flavor profile. There are even teas that have been “infused” with different herbs and fruits to augment their taste further. All the variety, though, raises an obvious question: which brand reigns supreme? While personal preference will largely dictate the final answer, we can provide you with a few criteria to use when you’re evaluating the vast selection, and provide a few suggestions to get you started. Loose leaf tea might not be top of the charts yet, but it has been steadily gaining popularity as people learn more about the advantages of this seemingly superior option. The fine tea in traditional tea bags, you see, is usually a kind of “tea dust,” highly granulated particles from broken down tea leaves. The result is a reduction in quality of the tea, and a final product that is deprived of its essential oils tastes more bitter and is not nearly as fragrant. 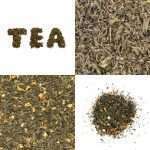 In short, tea blends that contain whole tea leaves as opposed to inferior tea dust will taste better, so it’s no shock more people are interested in learning how to acquire loose tea and make their own.